CAT 2018 Result has been declared on 5th January 2019. It is conducted by the Indian Institutes of Management (IIMs) on a rotation basis. It is organized for providing admission to various management courses offered by the IIMs. CAT (Common Admission Test) is a national level examination. On the basis of CAT score, candidates can also get admission into other management colleges. This year, it is regulated by IIM, Calcutta. CAT 2018 Answer Key has been released on 7th December 2018. In this article, we have mentioned complete information about CAT 2019 result, score card, cut-off & admission. CAT 2018 Result (Score Card) has been declared on 5th January 2019 through login.Check here for result details. CAT 2018 Answer Key has been released through login. Candidates can file objections till 10th December 2018 (5:00 PM).Check here for answer key details. CAT 2018 Candidate’s Responses File has been released. Candidates can check their respective question paper & responses through login. Check here for responses details. CAT 2018 Admit Card has been released on 24th October 2018.Click here to get admit card details. CAT 2018 Exam Day Instructions has been released. Check here for details. CAT 2018 Mock Test is available for practice now. Check here for mock test & other preparation tips. CAT 2018 Examination has been conducted on 25th November 2018. Check here for complete dates. In CAT 2018, Candidates with improper/blur photographs can login and re-upload their photograph from 27th September to 30th September 2018. Check here for image correction details. CAT 2018 Registration last date has been over by 26th September 2018. Check here for registration details. Candidates can view their results on 5th January 2019. The list of shortlisted candidates for the next level of selection will be published through online mode on the website. CAT score card 2019 is available through online mode on the official website. The Institution also intimate the individual candidates by SMS. The scorecard is valid for one year. Candidates can download the scorecard by entering User ID & Password. Each IIM will send interview call letters to the shortlisted candidates directly. The selection criteria for shortlisting vary from IIM to IIM. After qualifying CAT exam, candidates have to appear in the Written Ability Test (WAT), Group Discussion (GD) & Personal Interviews (PI) rounds. The CAT admission will be given on the basis of candidate’s previous academic performance, relevant work experience & short-listing of candidates. Candidates can check the answer key of CAT after the examination. The official answer key along with CAT question paper has been published on 7th December 2018. Candidates can get the CAT 2019 answer key only through online mode on the website. Candidate’s responses has been released on 1st December 2018. Candidates can challenge the answer key by filling objection form & submit it till 10th December 2018. The answer key & question paper can be checked through login by using user ID & password. Question: I am in the last year of Bachelor’s degree. What marks i have to fill in the application? Answer: You have to fill the aggregate percentage up to the last marks statement received from the University. Question: I don’t have a any bachelor’s degree or professional degree. Can I apply for the exam. Answer: No. you are not eligible. Question: Can I apply for CAT exam as practice purpose? Answer: yes, you can apply for CAT. Answer: No. If you attempt the exam more than once slot then, it will be deemed as a fraudulent activity. Question: While filling application form, I have done mistake(s) in the application. Can I correct my filled data? Answer: Correction will not be allowed in personal details, other personal details, communication address, uploaded documents & any details in academic section except percentage marks scored after making payment. You can edit other details in the month of September/October 2018. Question: Will I attempt the exam from any computer? Answer: No. You can appear in the examination on the test center printed on the admit card. Question: Does CAT have a syllabus for exam preparation? Answer: No. There will be no defined syllabus for CAT exam. Question: Can I pay the application fee through offline mode? Answer: No. The fee can be deposited through credit cards, debit cards & net banking. Click here to view more FAQs on CAT 2018. 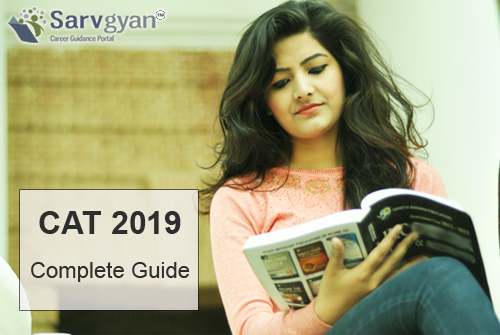 In this section, candidates can get information about CAT 2019 registration details such as starting date, fee, documents, etc. The registration window for the exam has been opened from the 8th August 2018 through online mode. Candidates will register for exam till the 26th September 2018. Upload your images (Photogrpah Dimension: 30mm X 45mm, Size: not more than 80KB) and ( Signature Dimension: 80mm X 35mm, Size: not more than 80KB) in a JPG/JPEG format. At the time of registration, candidates must upload their category certificate (If belong to NC-OBC/SC/ST/PwD category). During registration, candidates also have to fill choices of four test cities as per their preferences. Candidates can pay the registration fee through online payment modes. The online payment modes are credit cards (Visa/Master/Amex/Diners Club), debit cards (Visa/Master/Rupay), net banking and Cash Card & Wallet. Candidates can make a correction in the images from 27th September 2018 through online mode. Corrections in other details will be announced soon. If candidates have made mistake in personal details, other personal details, communication address, uploaded documents, then they have to register again with a new email ID. Candidates will do the correction through User ID & password. Candidates can download their admit card from 24th October 2018. For some more information, candidates can check this section. The CAT 2019 admit card has been issued through online mode only. Candidates can get the CAT hall ticket only after by entering their USER ID & Password. There is no offline mode to get the admit card. On the day of the exam, candidates should bring a valid admit card along with one photo ID proof. If you have any other queries about CAT 2019, you can leave your query below in the comment box. After completing your Bachelors degree. I have done mphil commerce in 2011 , can I apply for MBA? Sir, I am Manoj. I want to prepare for CAT 2020 . Can you explane its exam criteria & this admission processes? Complete admission procedure and exam criteria is mentioned in our article. I am graduated in b.com hons from sol can I apply?? Yes, you can apply for next session. I hv cmpltd my graduation this year by 49.03%.Can I eligible for cat exam..?? I’m in bsc 5th sem (last year ) and having back in a subject in 1st semester whose result is pending yet.. am I eligible for CAT 2019 in January? You can appear for CAT in the final year last semester of your B.Sc degree. I have 1 backlog in 6th sem of bsc IT. Can i apply for the CAT 2019 exam? I am in 5th semester of B.E. now. Can I apply in November 2019? I am in b.com final year can I ? I have completed my BCA this year. Am I eligible for CAT? This one is IIM specific or we can get admission into other management schools as well? Can get admission in other IIMS too. I am in last year of b.com but my 2nd year result not dicleard can i egible for cat?? I am in 3rd year Engg now. which year CAT ca I appear ? Can apply in 8th sem. i am b.tech 3 year i can apply for CAT exam? 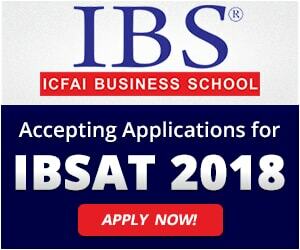 You can apply in 4th year. I m persuing my BA honours in English.But I have one year loss.so will it effect me in my future corporate job? 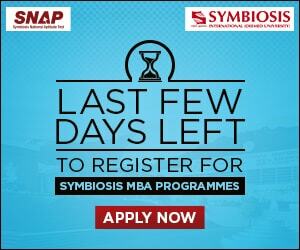 I have completed MBA in 2012 can i apply for the CAT 2019 exam? I am studied BSC general final year. Can I appear? I’m studying final year of btech cse background with 2 backlogs in 3 2 sem can i apply for CAT 2019? Sir can I appear in CAT after completing my M.Sc. Now iam studying last year of degree.Can i apply for CAT exam for this Nov attempt? Sir I am doing graduation in hotel management .this is my final year but I have one back paper in 2nd year can I appear for cat this year . I m in 5 sem of bca can i apply for CAT in 2018?? Sir i am in b.tech final year.can i apply for cat2019? Sir i am pursuing my degree in an open University final year ( b.a economics) i applicable for CAT exam for this year. MerA graduation 2019 mein complete hoga toh kya mei iss saal cat k exam de skta hu ??? I’ve year gap as I failed in 12th standard on 2011 and then cleared successfully in the year 2012. Am I eligible for CAT exam? Does organisations like IIM Bangalore or Christ University will accept my admission if I clear the exam? For CAT you can apply after your UG. In 2019 by the end of june my btech would be cleared.can i seat for the exam.this year? I’m pursuing BBM and right now I’m in 5th Sem.. Which year Should I apply for CAT 2018 or 2019 ?? You can apply in 6th sem. You can apply after your graduation. Can I give this exam on my 12th basis or bachelor degree is mandatory? For admission in IIM ahmedabad , they consider 10th & 12th marks for admission? Admission is through CAT Exam. Now iam last year of degree can I apply for cat exam ?? I am studing 4th year b.tech. Can i apply for the CAT 2019 exam? Can we include internships as a work experience in resume for IIM’s? My 10 th and 12 th cgpa is 5.8 but at btech 7.0. i am eligible for cat exam. You should have at least 50% marks or equivalent CGPA (45% marks for SC/ST/PwD categories).